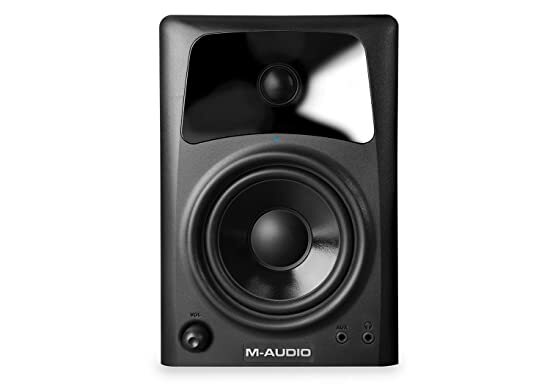 Recording engineers and producers in studios from all around the world rely on M-Audio monitors. 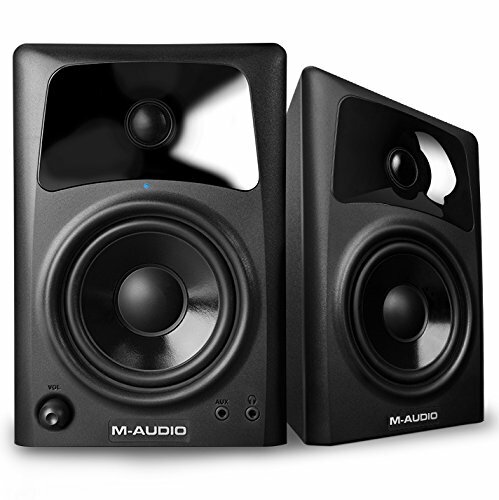 Now, with the AV42 monitors, you can enjoy the same professional standard of audio quality right on your desktop. 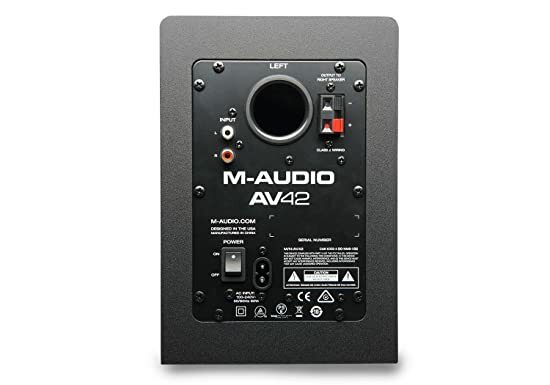 The AV42 takes the acclaimed design of its predecessor to the next level. 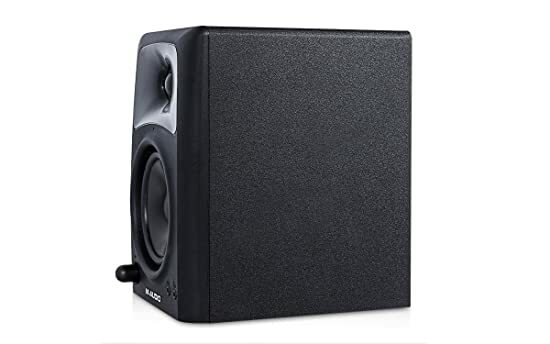 Dropping weight by nearly half, these desktop monitors are now composed of a special medium-density fiberboard (MDF) and unique interior reinforcement designed to absorb vibration and minimize distortion. By removing the grill and utilizing flexible, ferrofluid-cooled silk cones, the tweeters are able to take advantage of the OptImage IV’s intricate waveguides for superior imaging and detail. 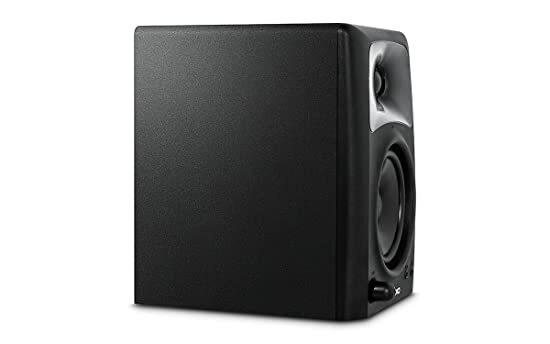 Additionally, our innovative speaker monitor cabinet includes carefully placed acoustic material that makes the AV42 sound much bigger than it is—resulting in a smooth, natural bass response.